Keep track of the special things you send to your constituents. Leverage your constituent database to create a check-off list for sending out letters, gifts, or volunteer gear. Create numerous lists and material inventories for various situations such as gifts for campaign backers, annual reports for association members, or gear for your volunteers. Use Neon’s report function to create specific groups of constituentst that need to be send materials. You can also import spreadsheet lists or export your tracking list. You can also import spreadsheets if you have a specific, manually built list. 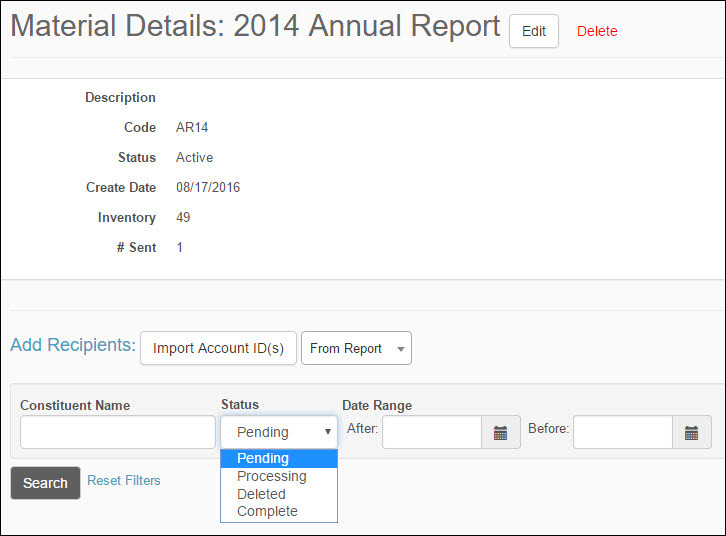 Conversely, you can export your lists for use to create automated mailing labels. You can filter your constituent lists by these statuses so that you can focus on those in each stage. See how Neon’s letter and material tracking software can help your organization. Take me to a free demo of Neon’s letter and material tracking software.